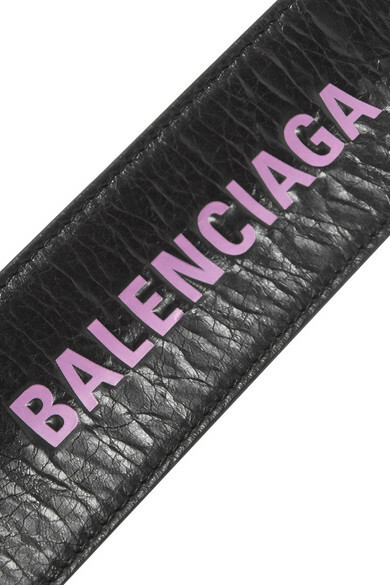 Balenciaga's 'Cycle' bracelet is a riff on the snap bands that were so popular in the '80s. 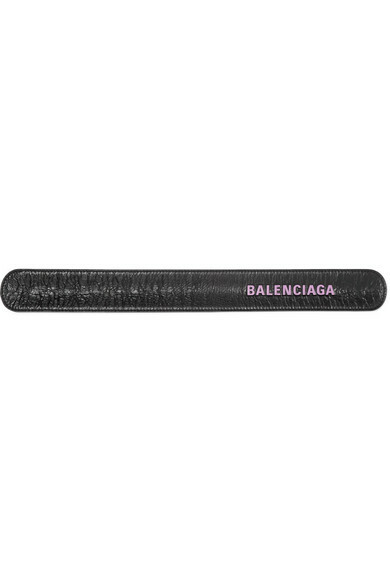 Designed to wrap around your wrist, it's made from supple black textured-leather and embossed with the brand's contrasting bright-pink lettering. 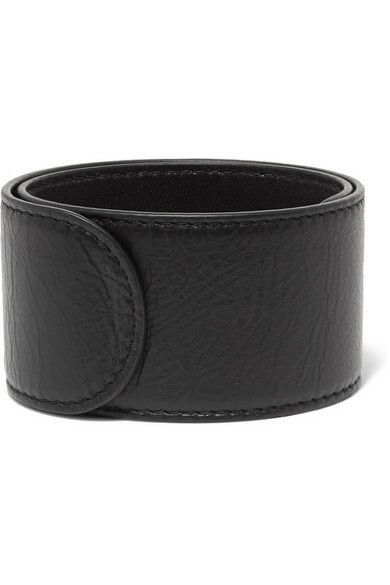 Wear it over the cuff of your shirt. Shown here with: Balenciaga Dress, Balenciaga Jacket.